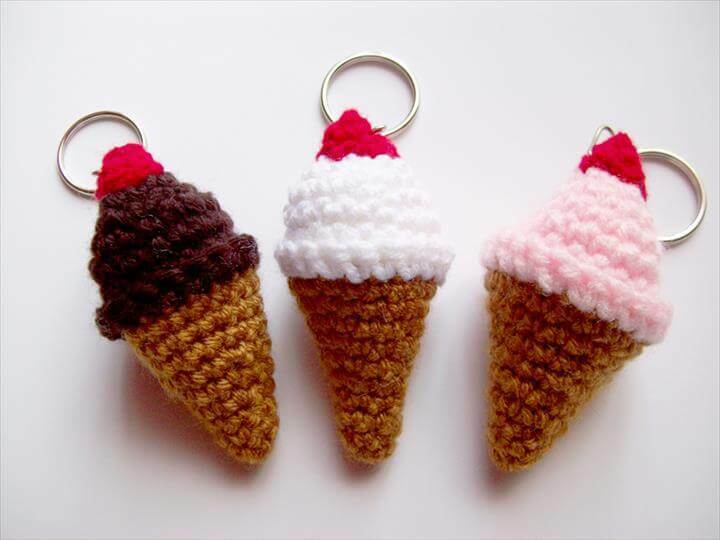 Crocheting is an addiction but a good one. 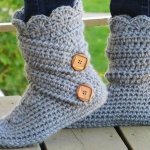 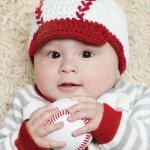 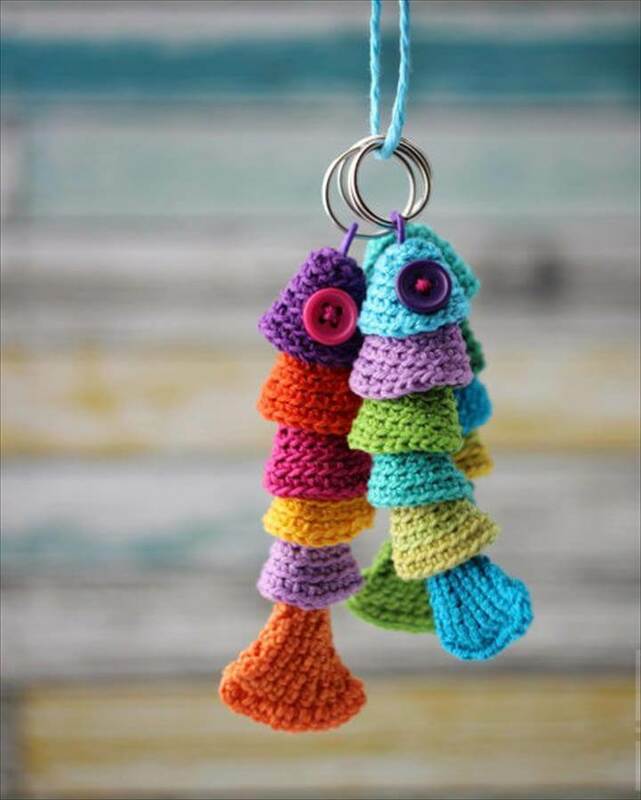 Once you have started crocheting you would be finding new and new things craft with your crochet needles everyday than just the sweaters, caps, hats and gloves. 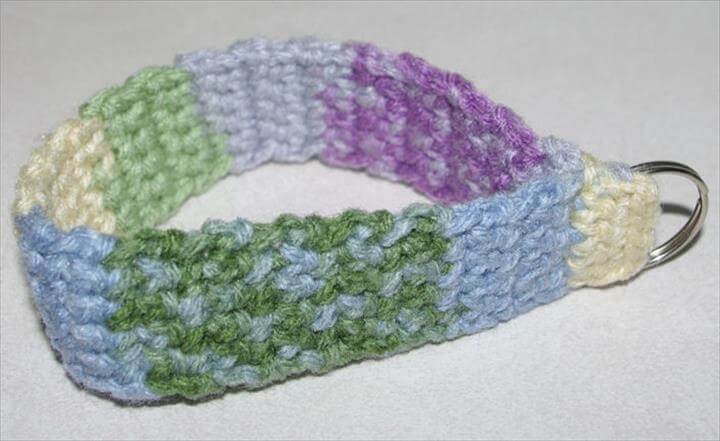 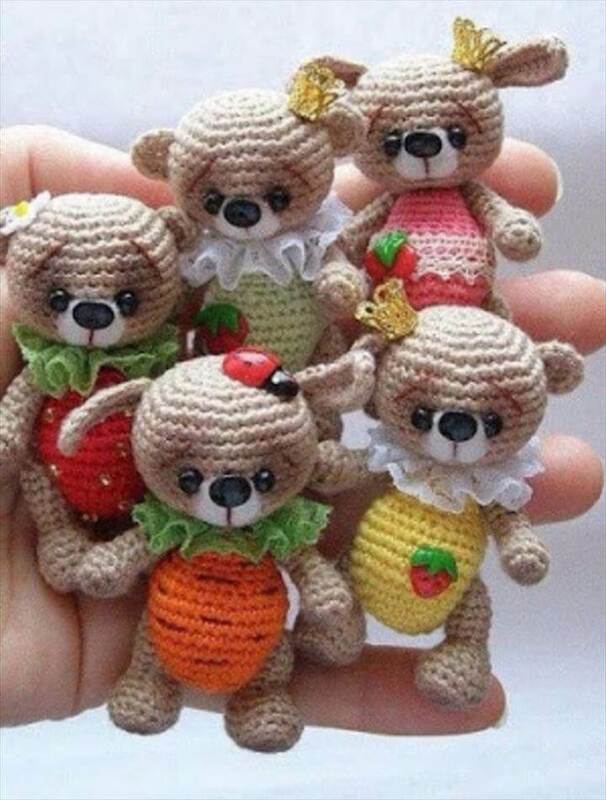 And beyond this common crocheting stuff there is a lot more that you can experiment with you art of crocheting. 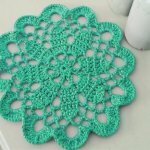 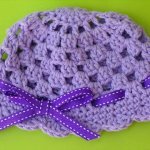 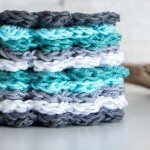 Do you want to know what can be the other things to crochet? 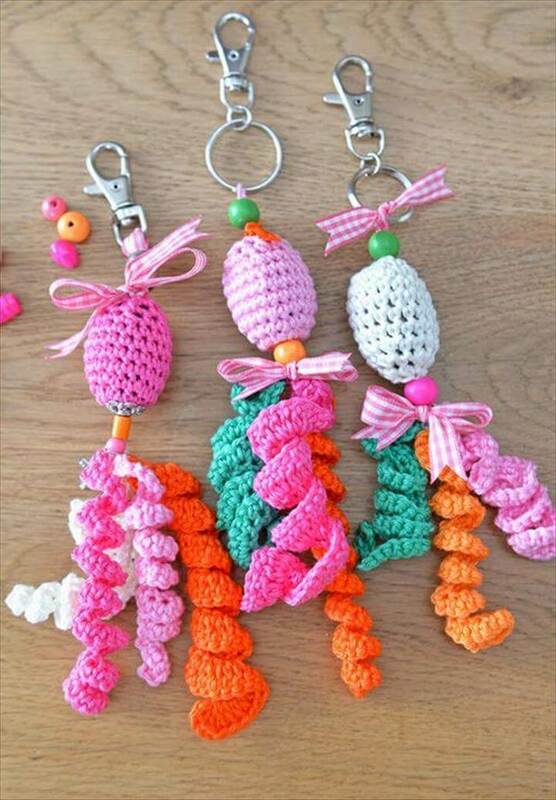 So here is the answer the Key Chains. 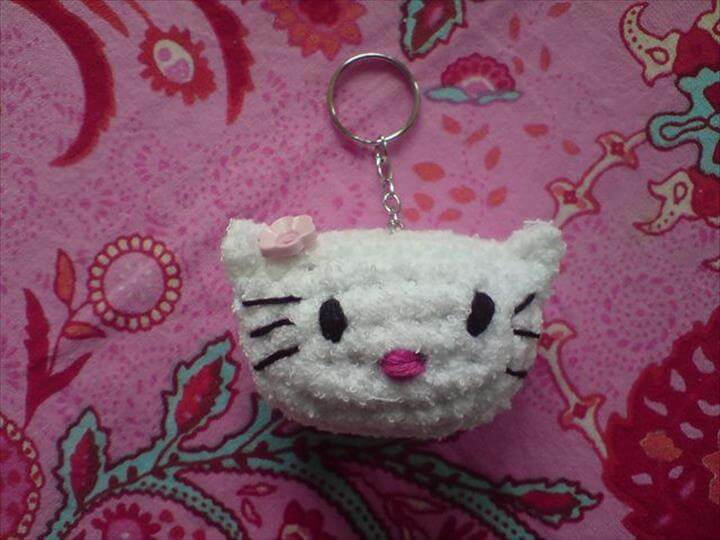 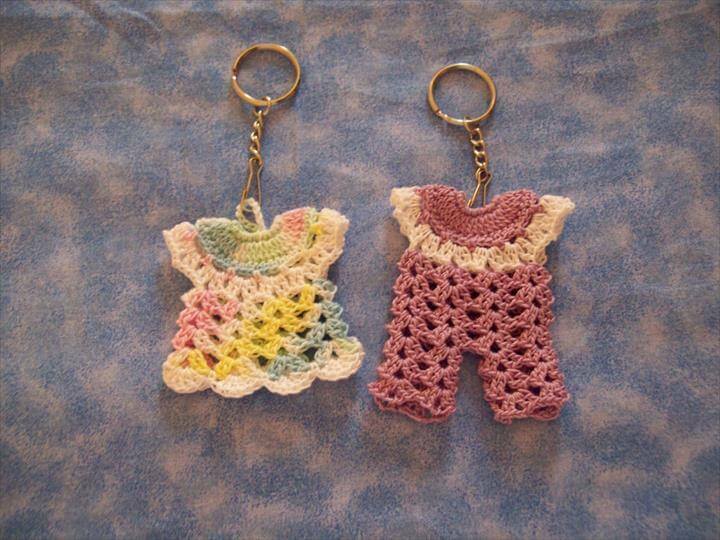 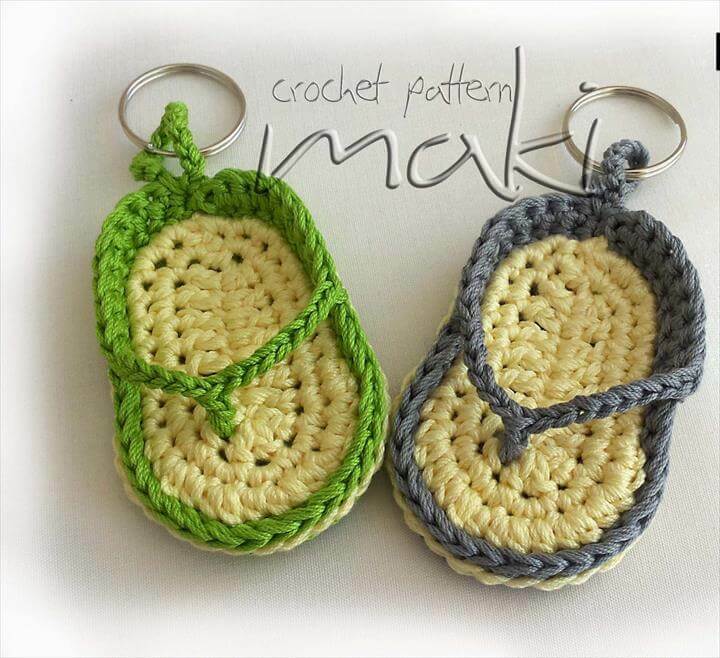 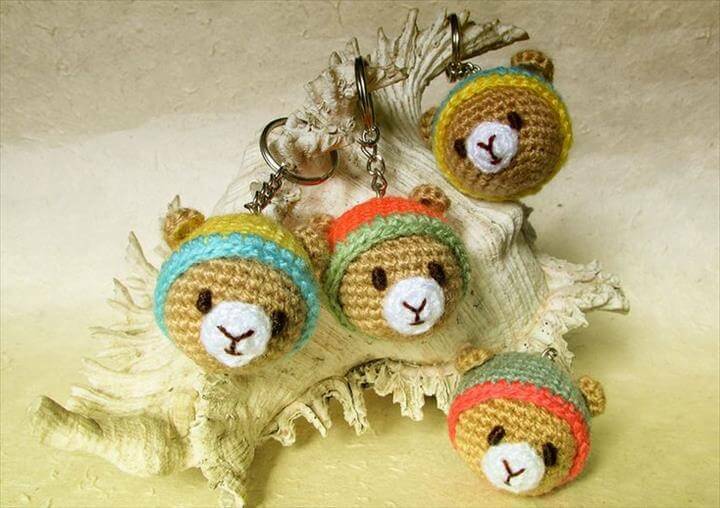 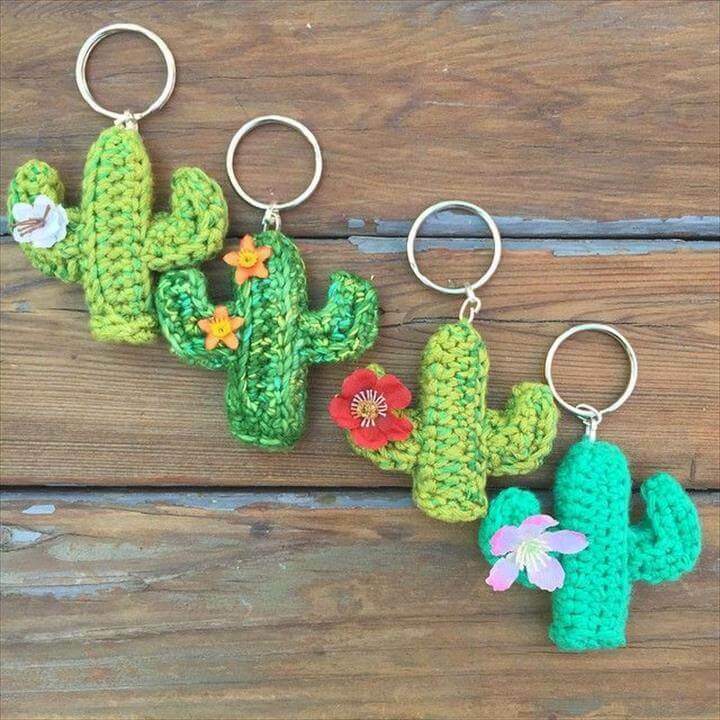 Yes the regularly used key chains can be made from the crochet art and they would look so damn cute in those crocheted attires. 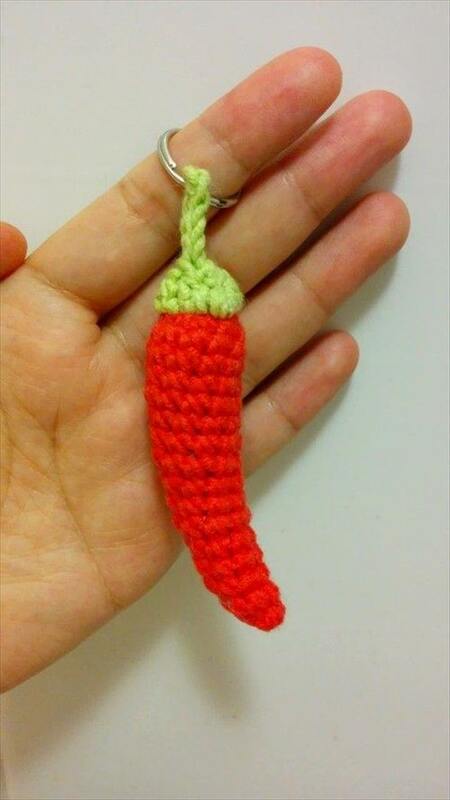 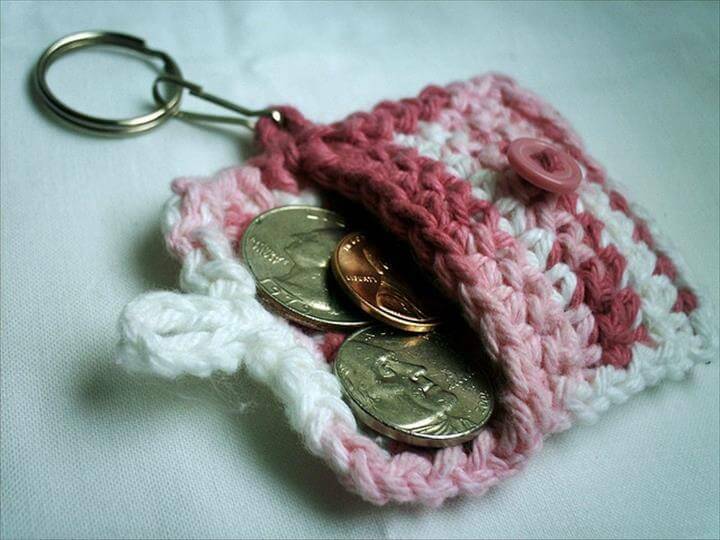 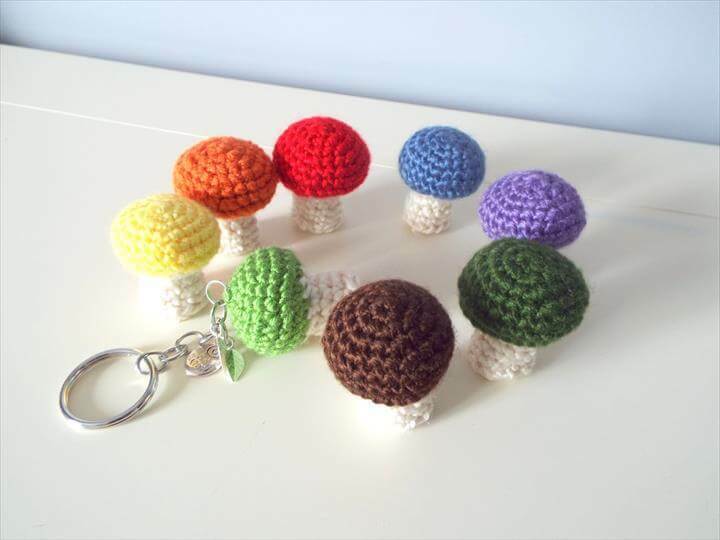 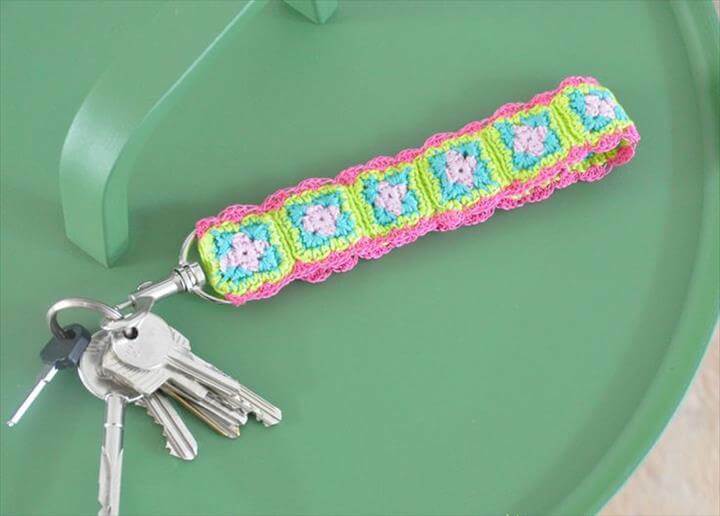 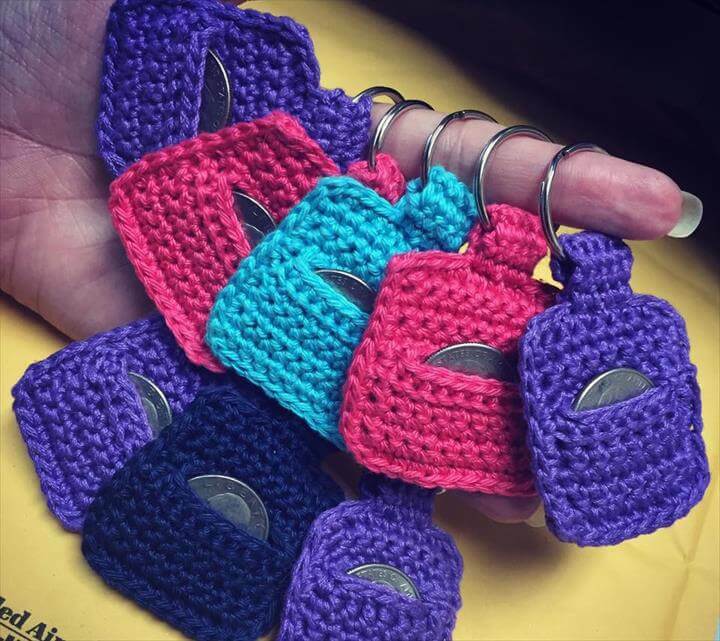 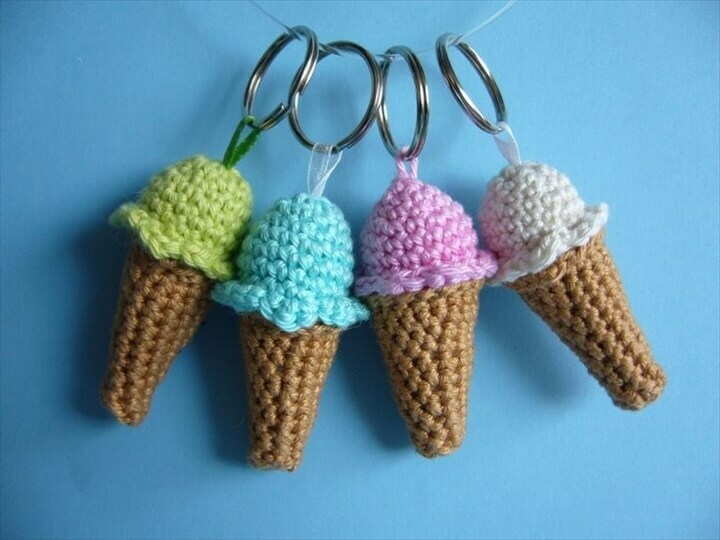 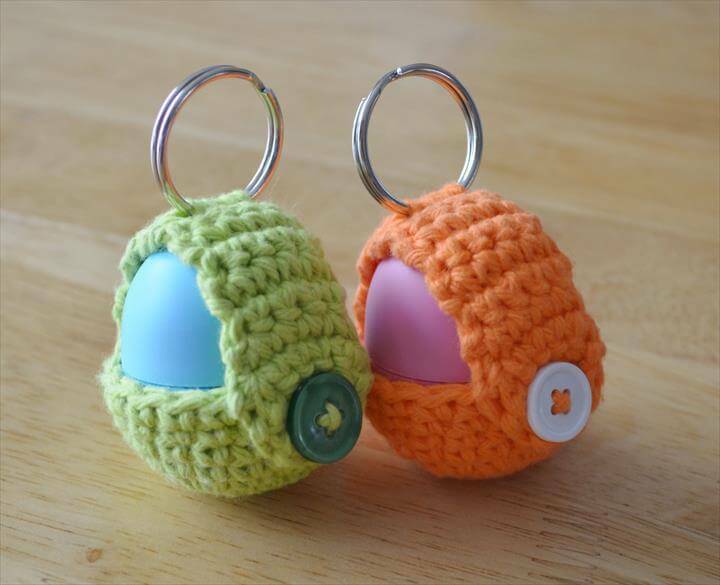 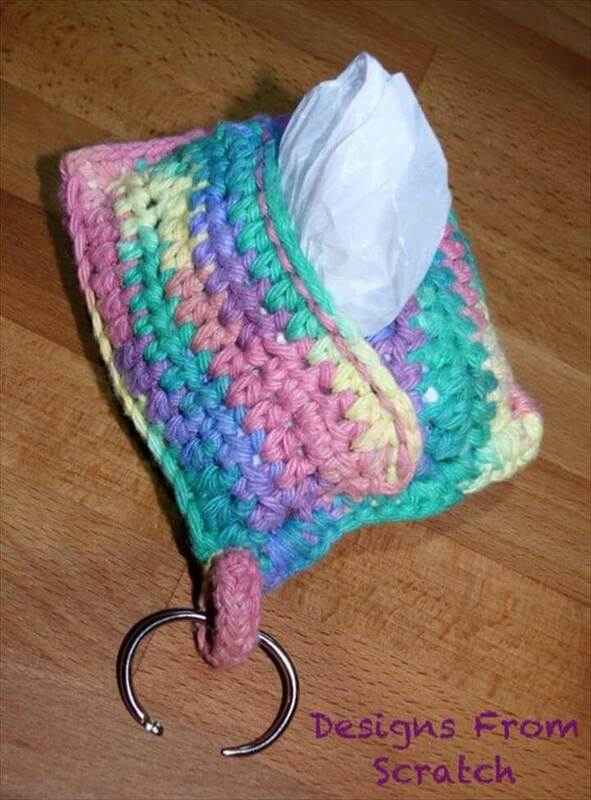 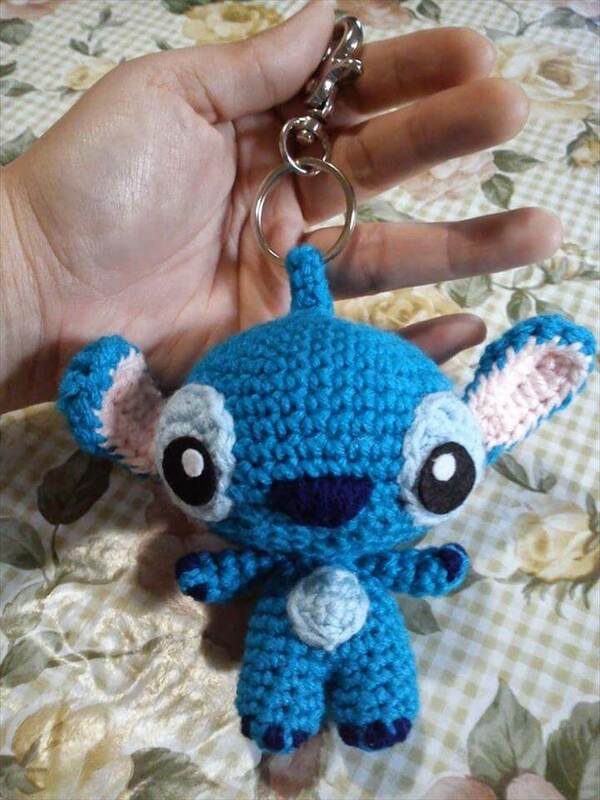 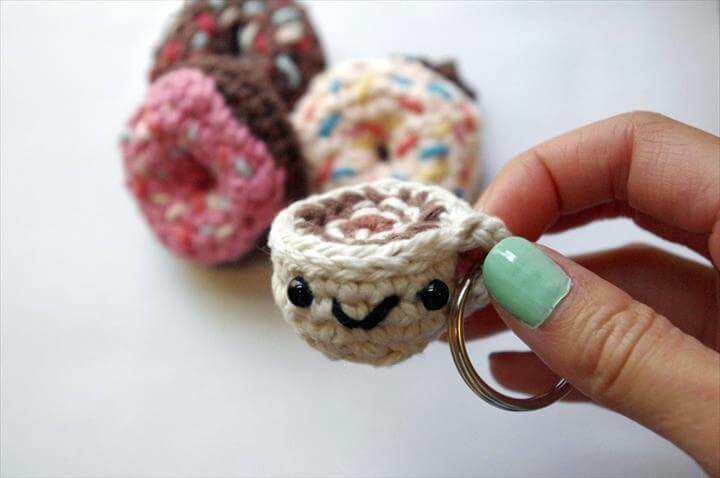 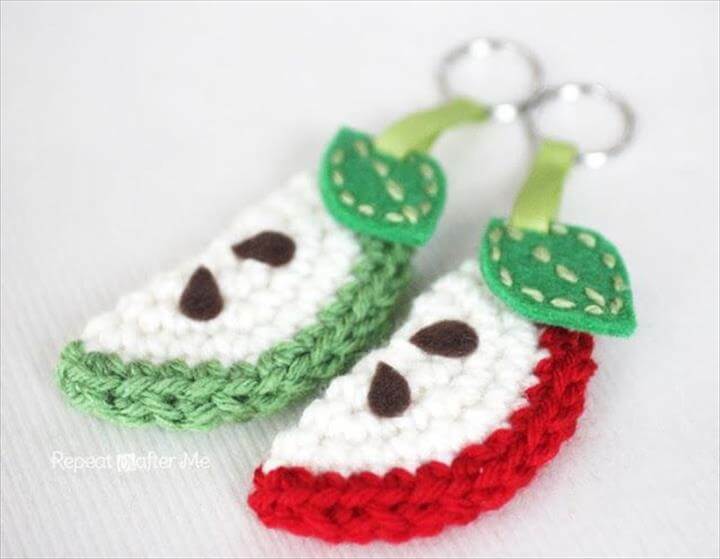 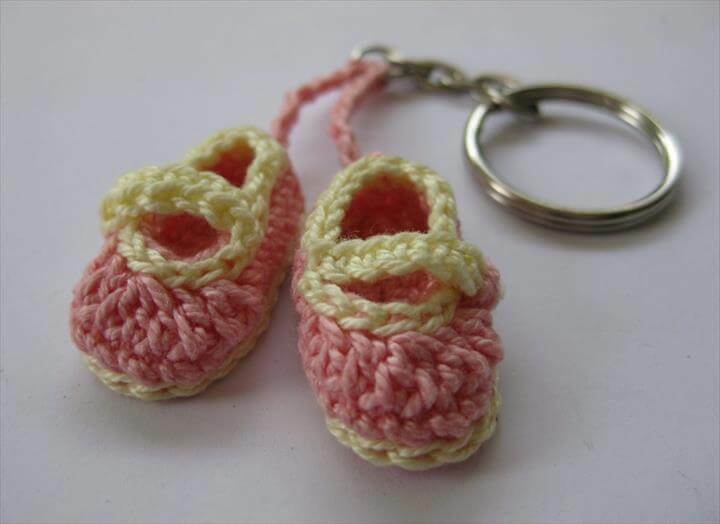 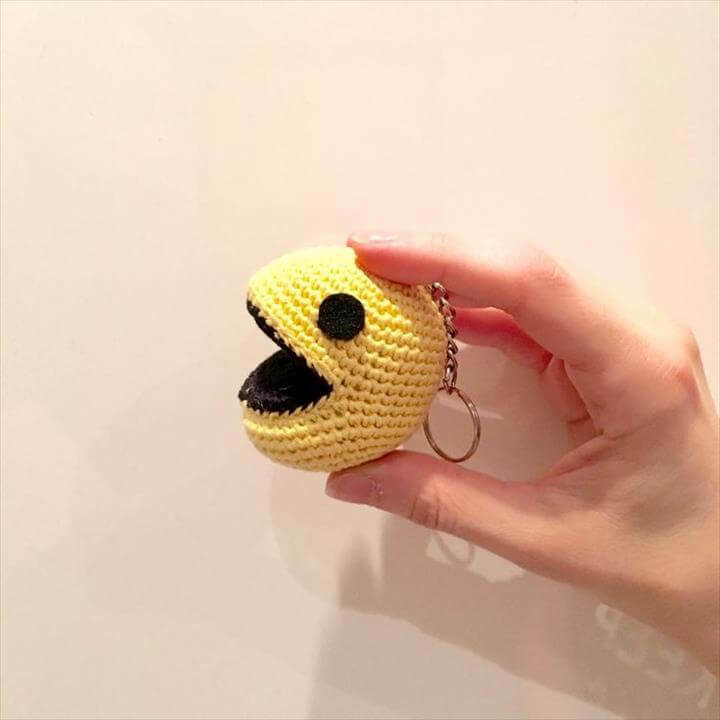 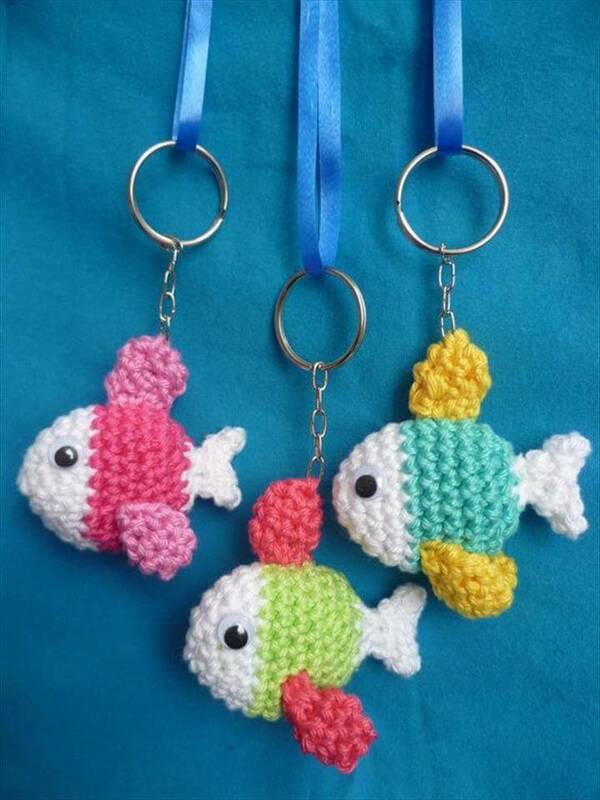 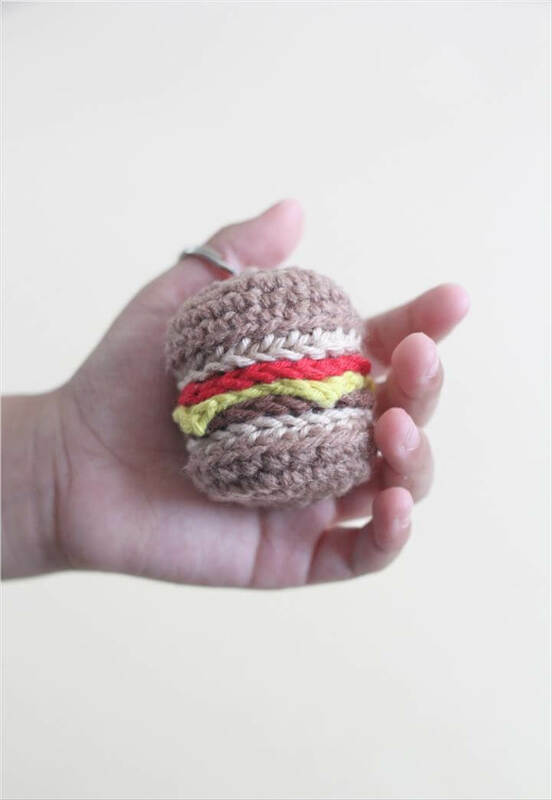 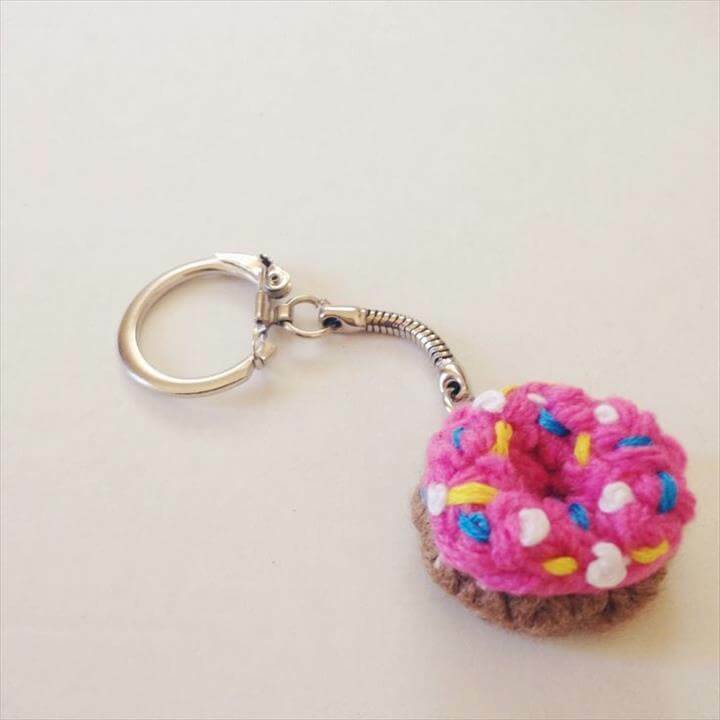 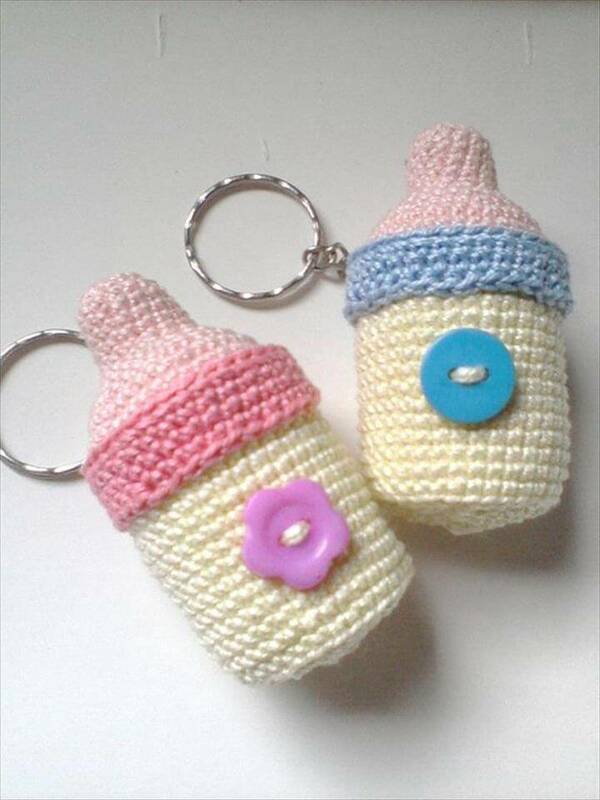 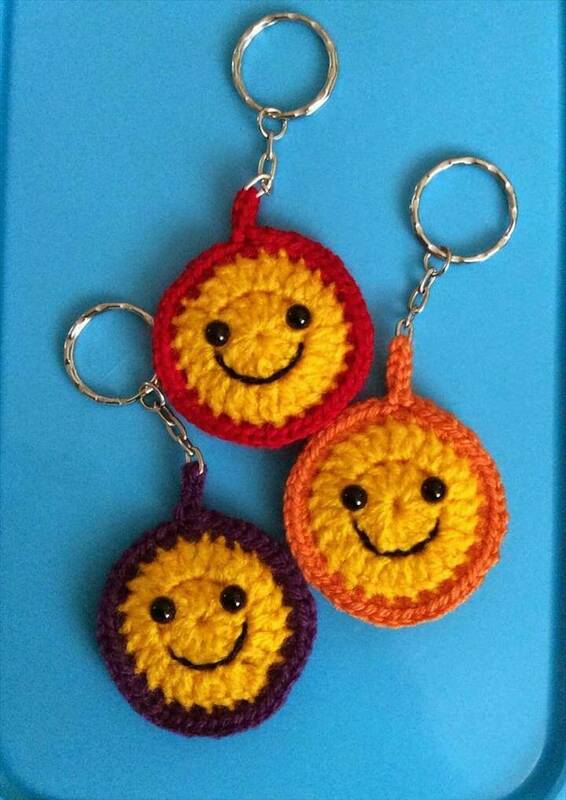 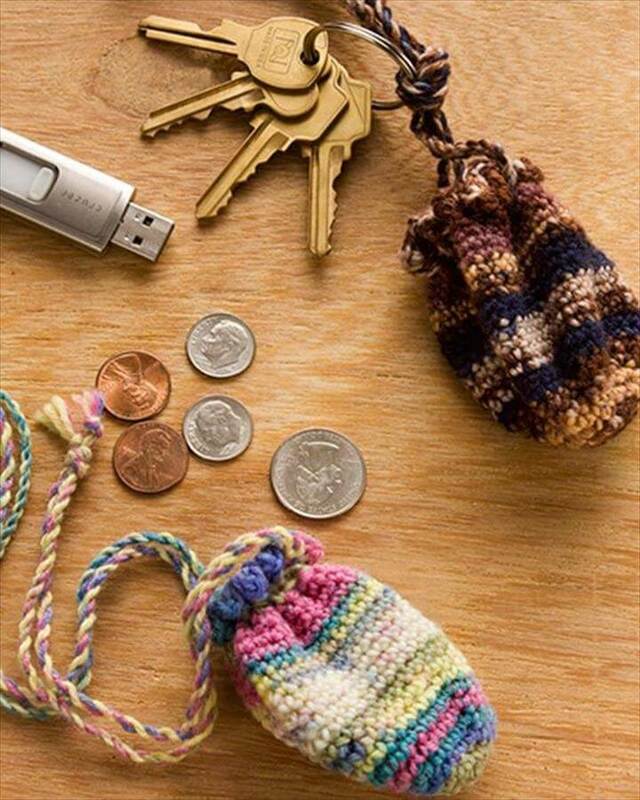 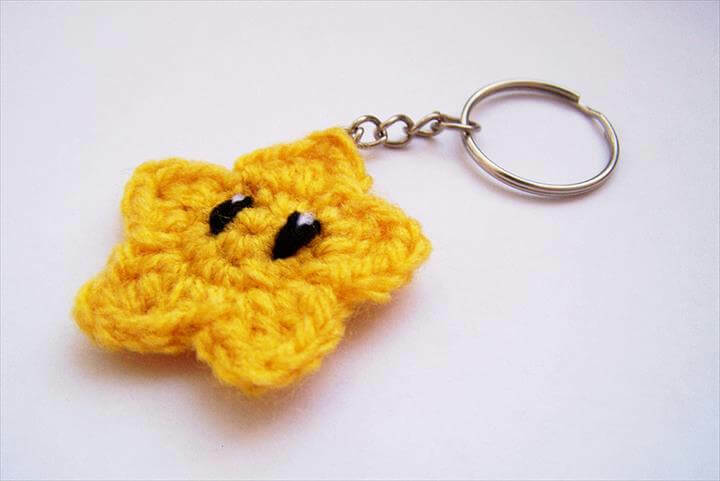 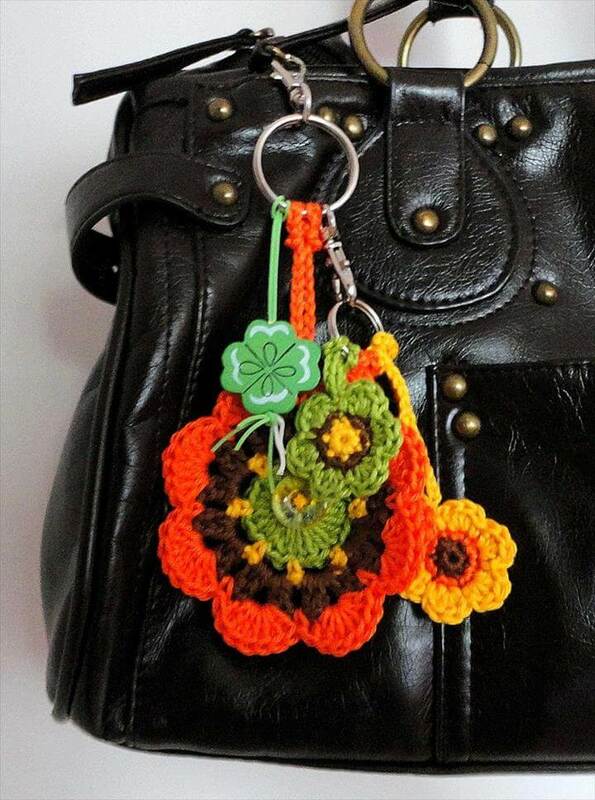 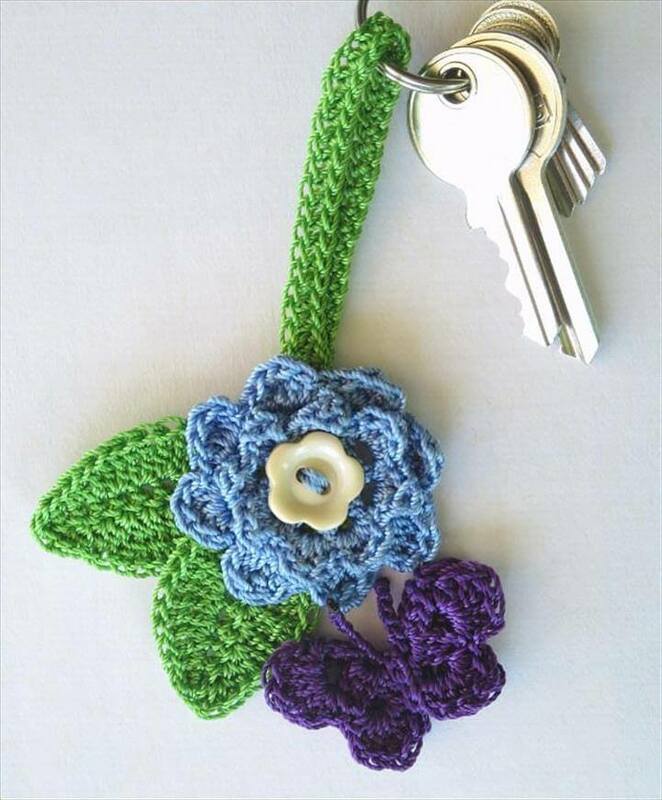 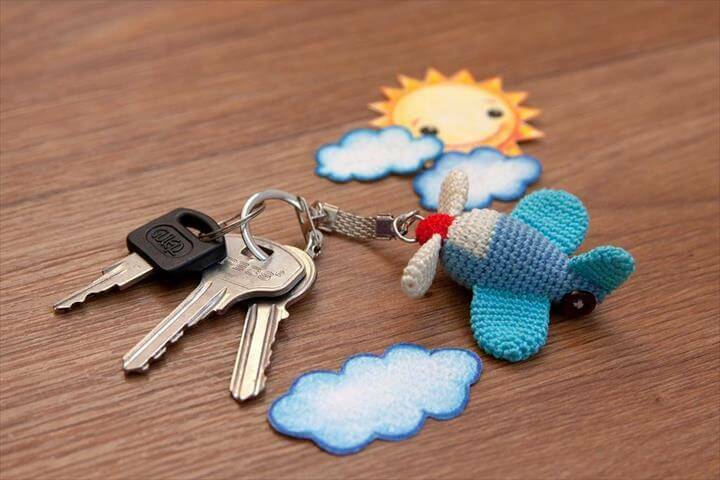 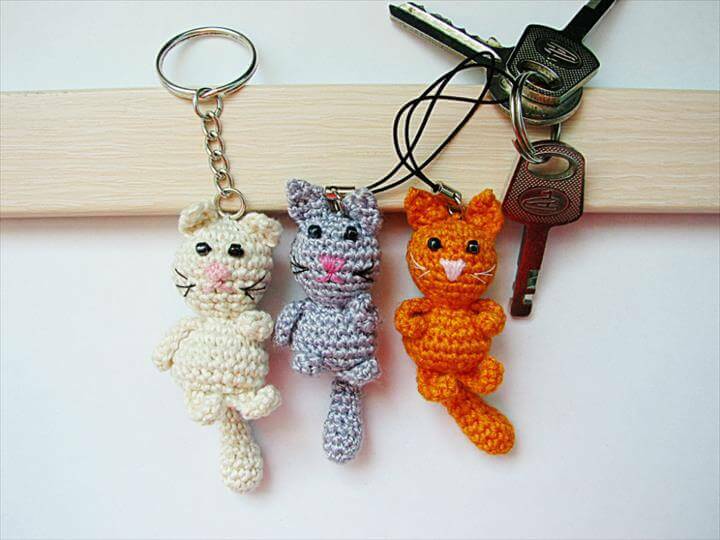 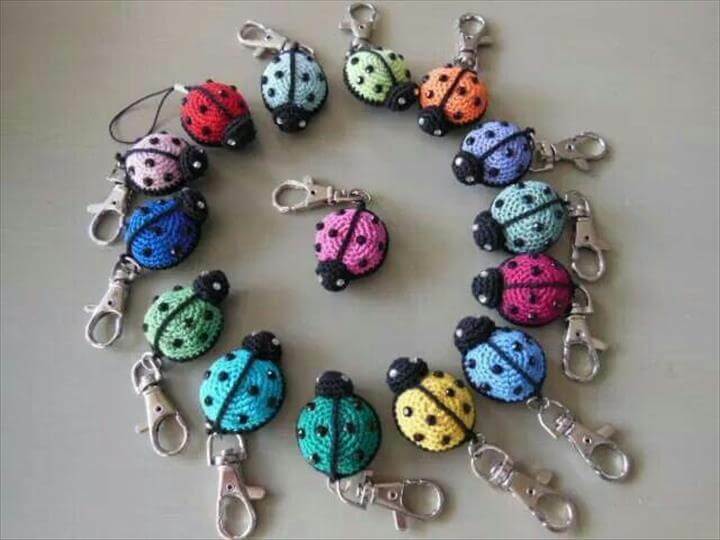 And to show you some readymade sample and examples of the key chains we have collected amazing crochet key ideas from all over the internet so that you can see the best designs at one place. 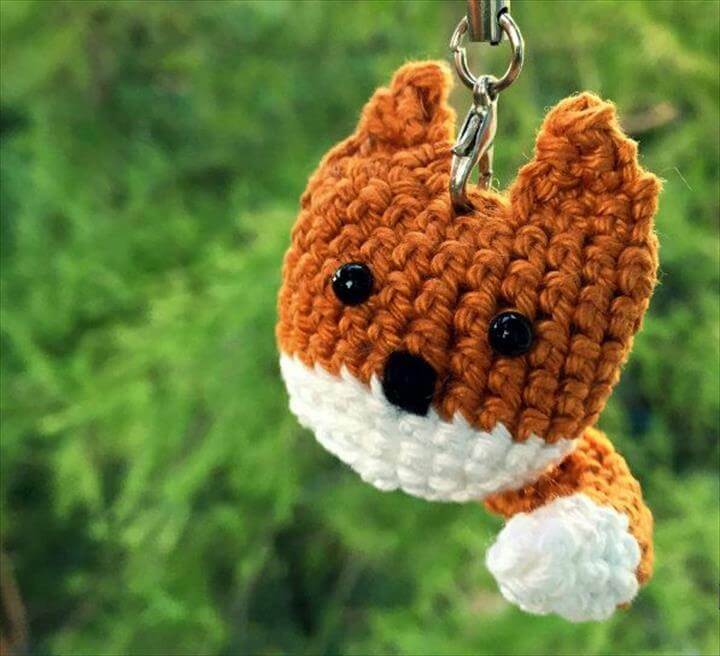 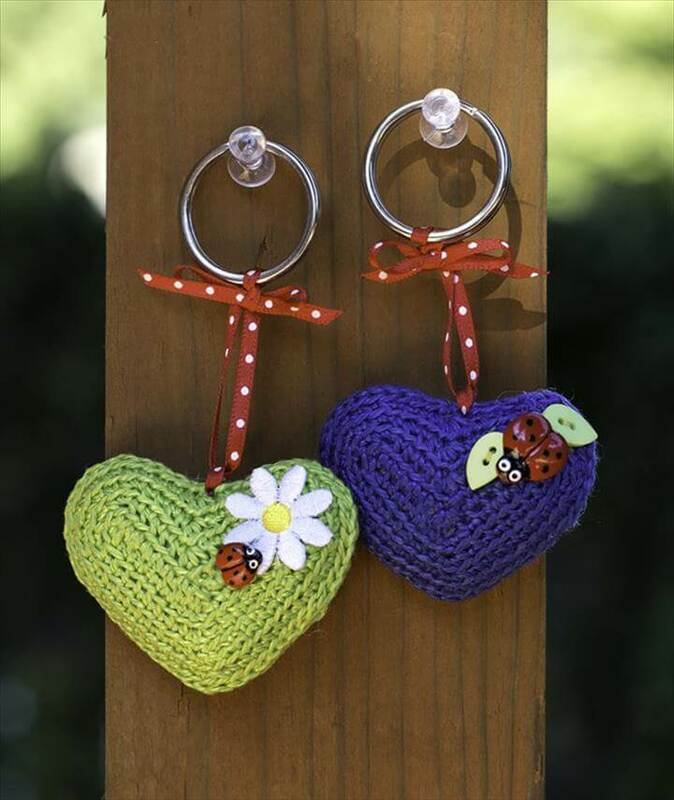 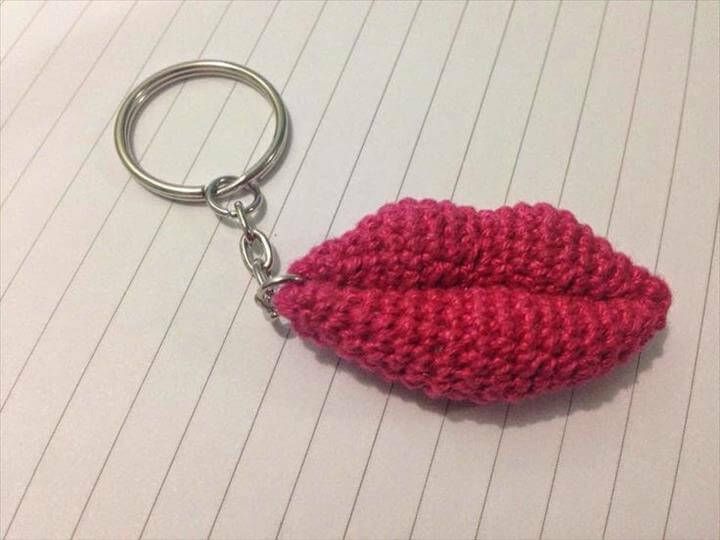 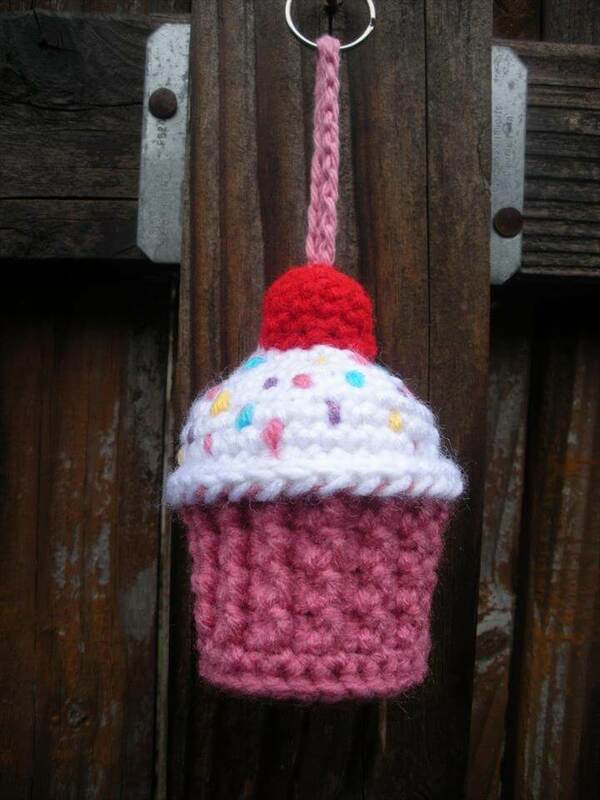 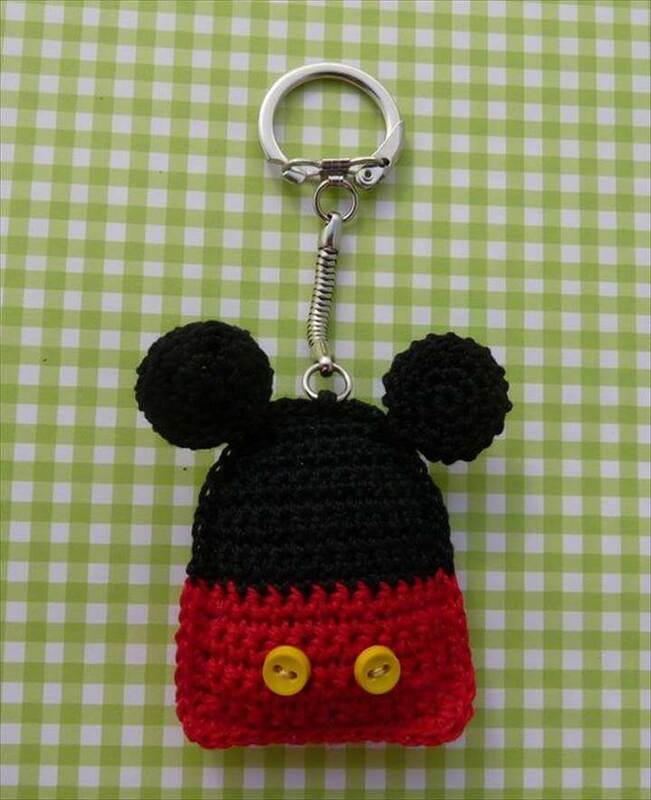 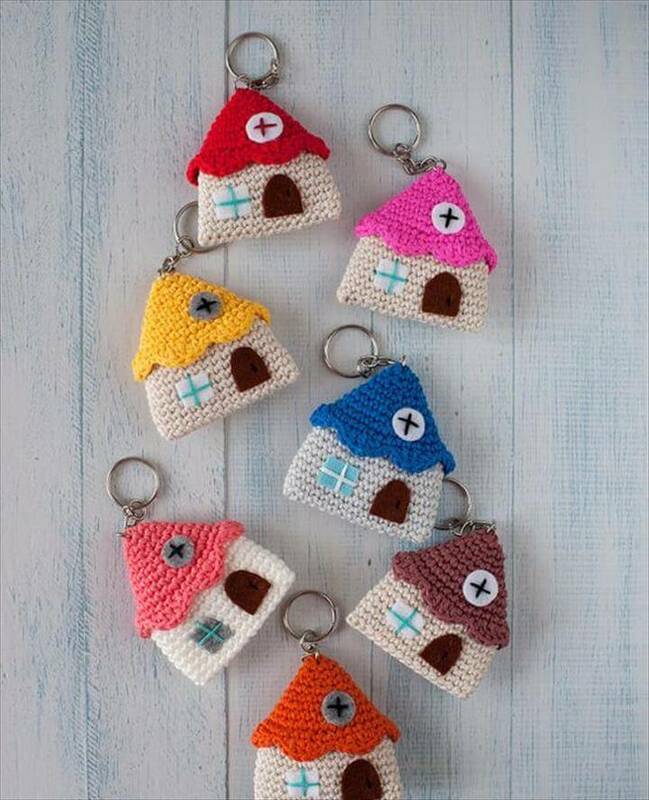 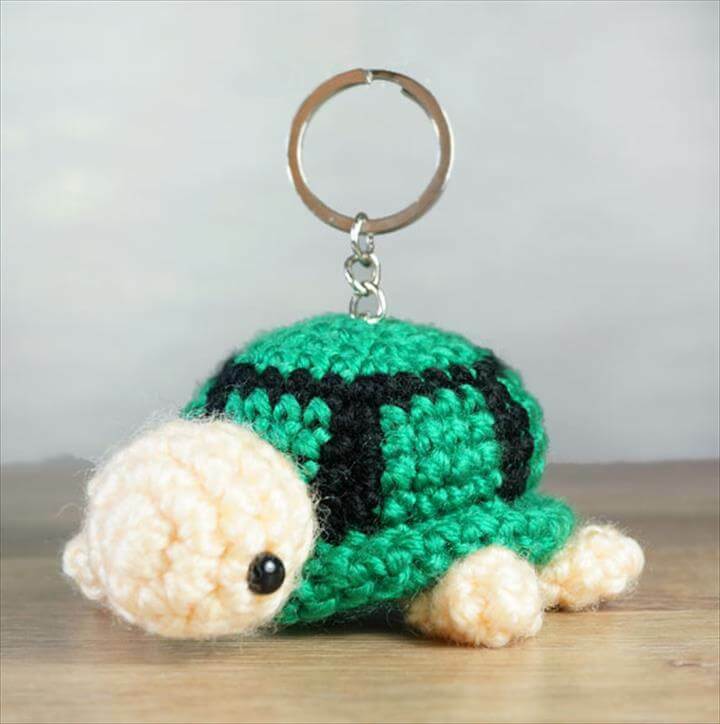 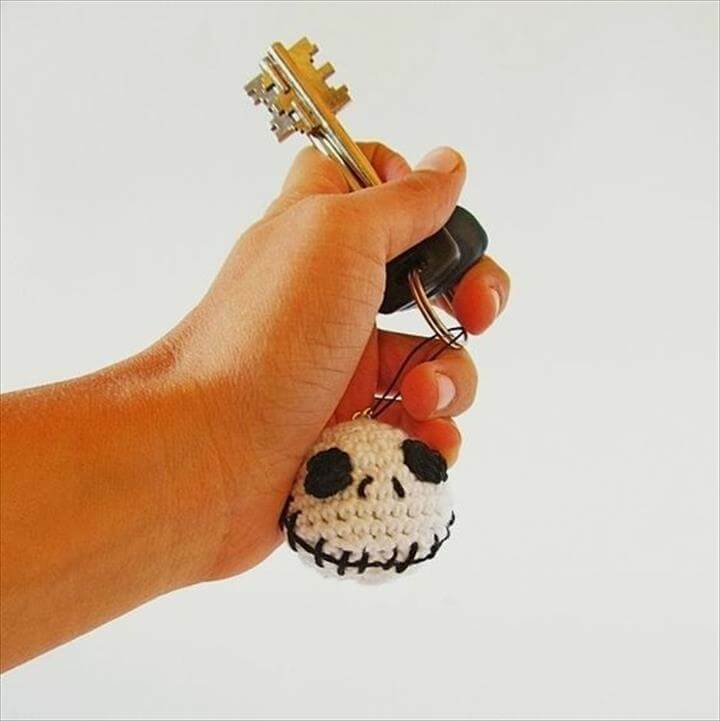 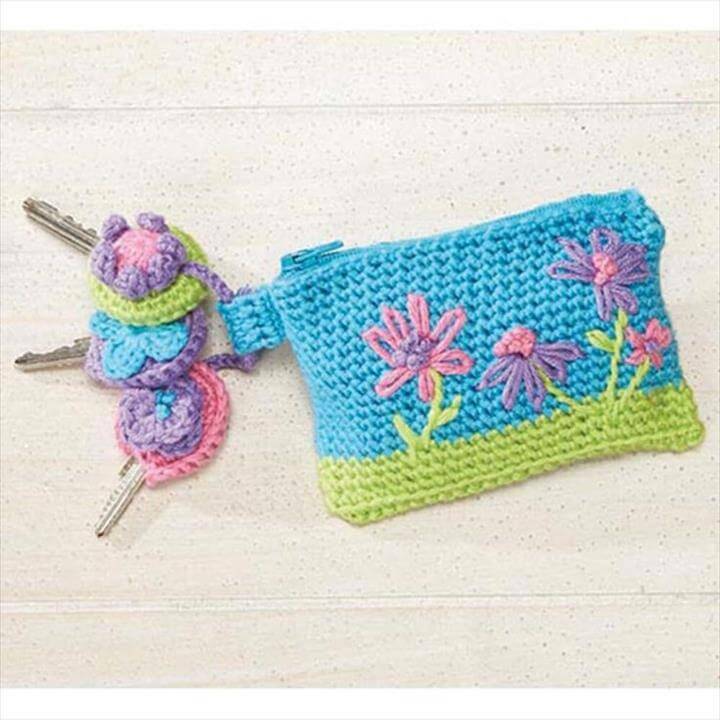 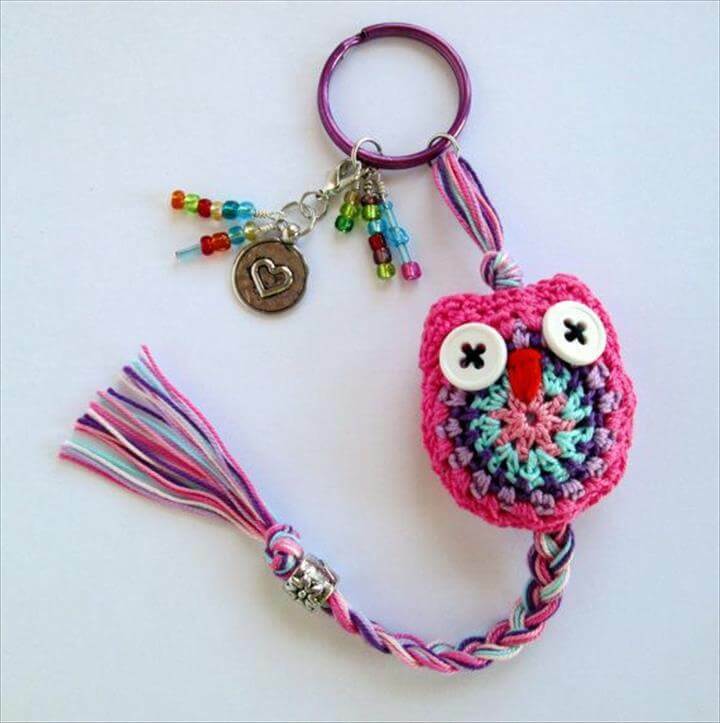 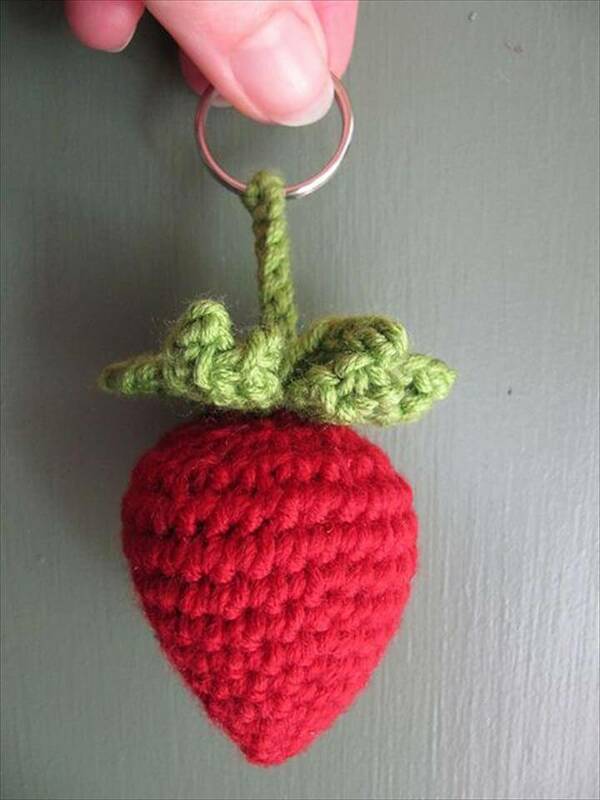 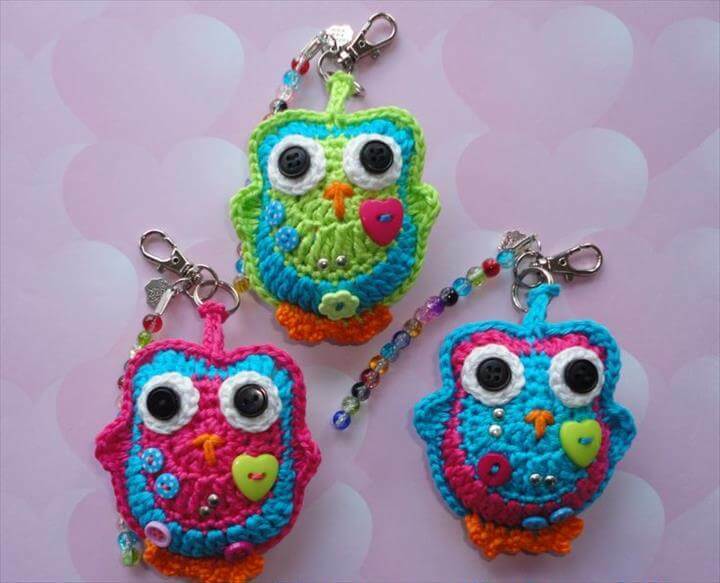 So browse this big collection containing 62 DIY crochet key chain ideas with a variety of designs, shapes and styles to let choose the best from. 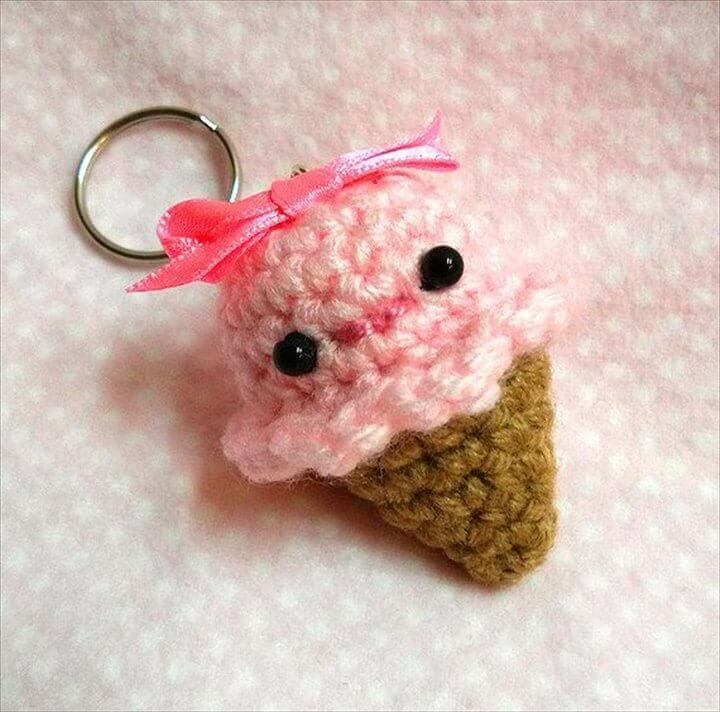 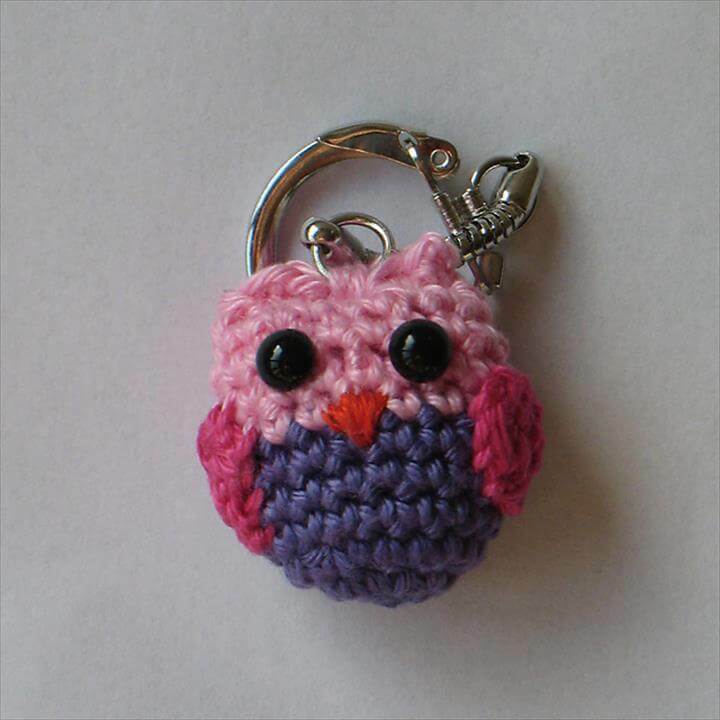 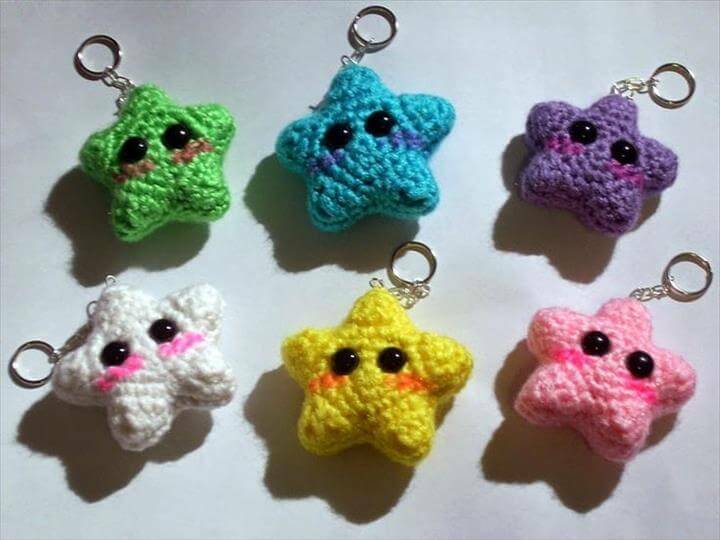 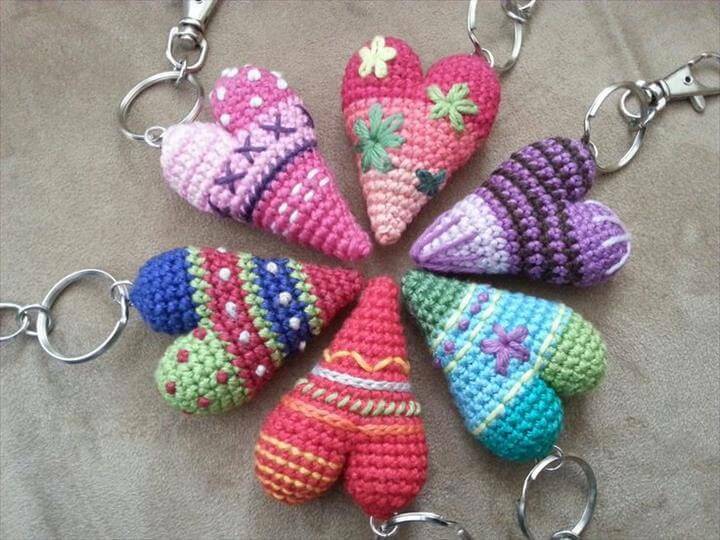 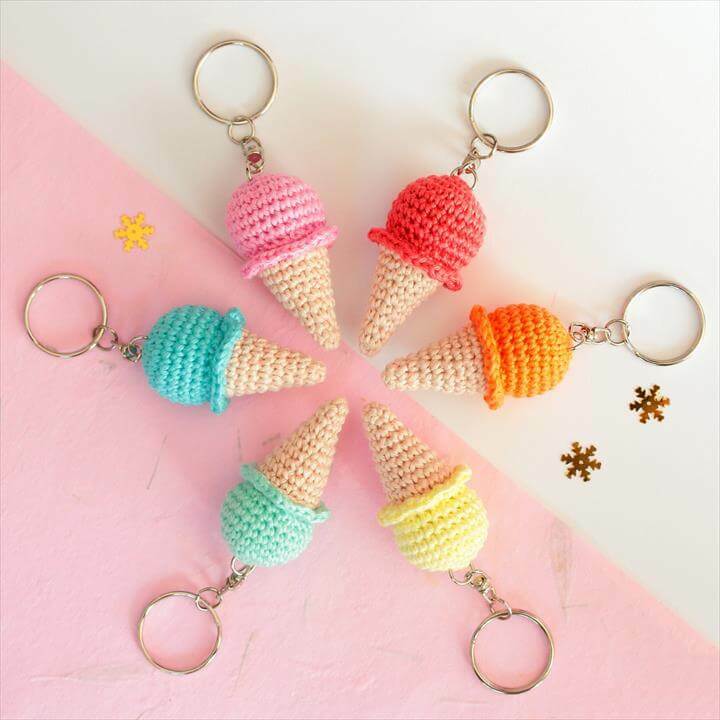 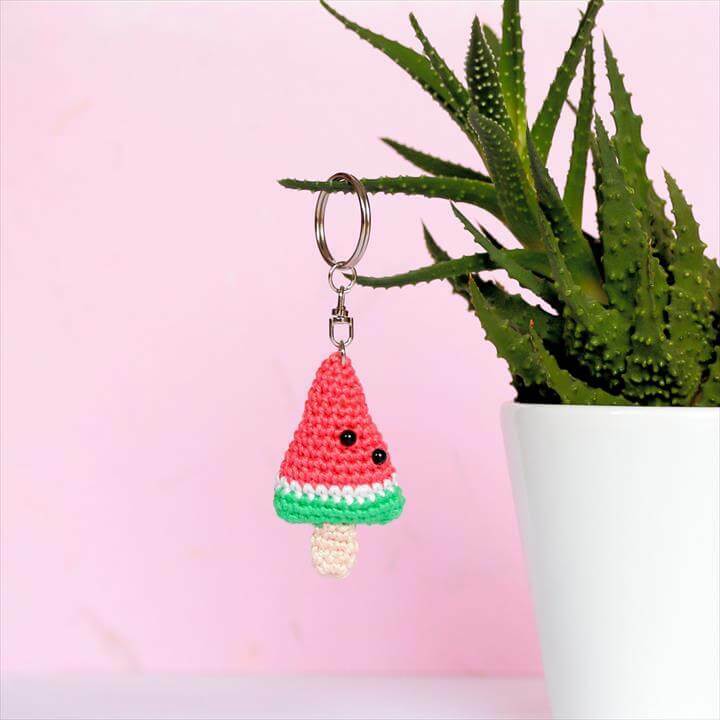 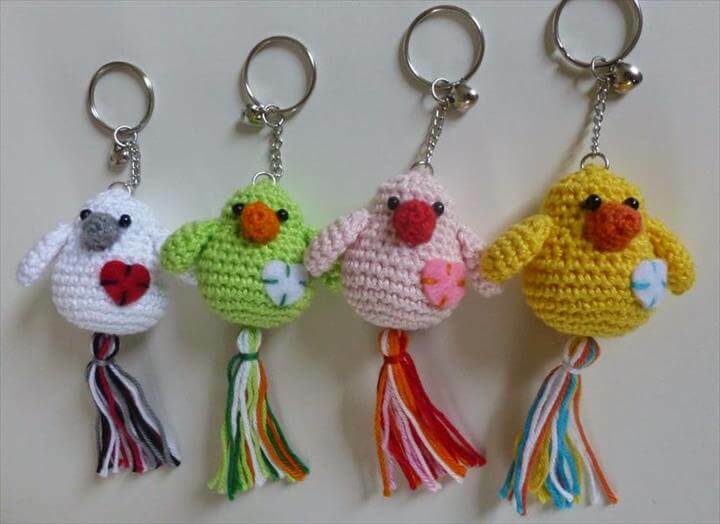 Cute and adorable shapes like hearts, kitties, stars, owls, lips, strawberries, ice cream cones, slippers, in short from anything to anything in your imagination can be turned into the lovely crochet key chains. 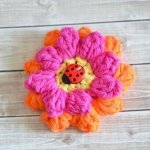 Choosing the colors of your favorite yarns would make them more delightful for you and as they are cutest they would make pretty presents for the family and friends too. 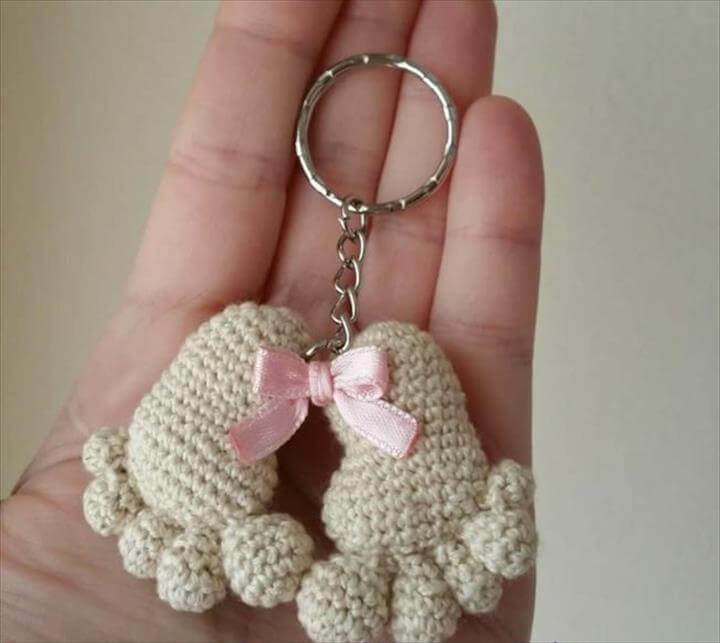 And being so small they would take less time and effort and get ready within one hour or two. 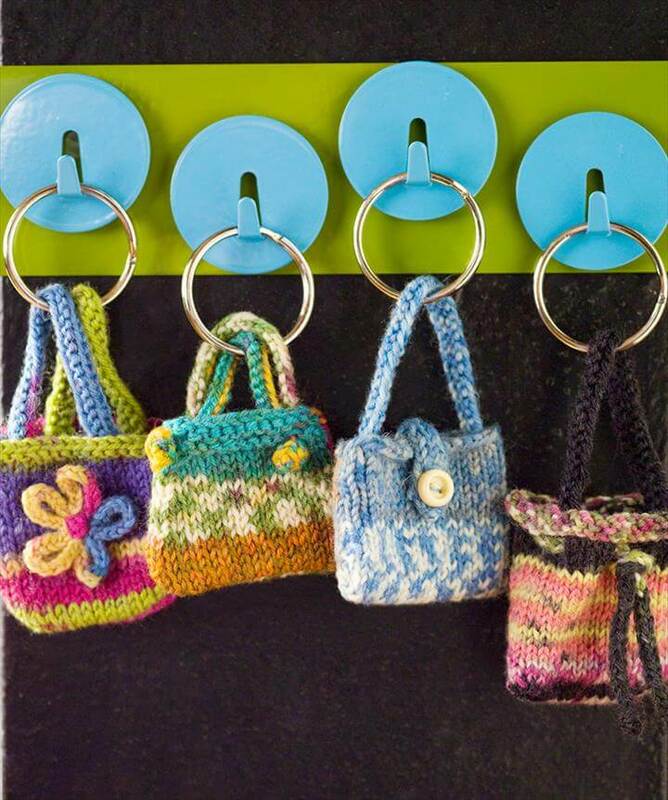 As they are made of yarn they can washed to get refresh as they get dirty for being regularly used. 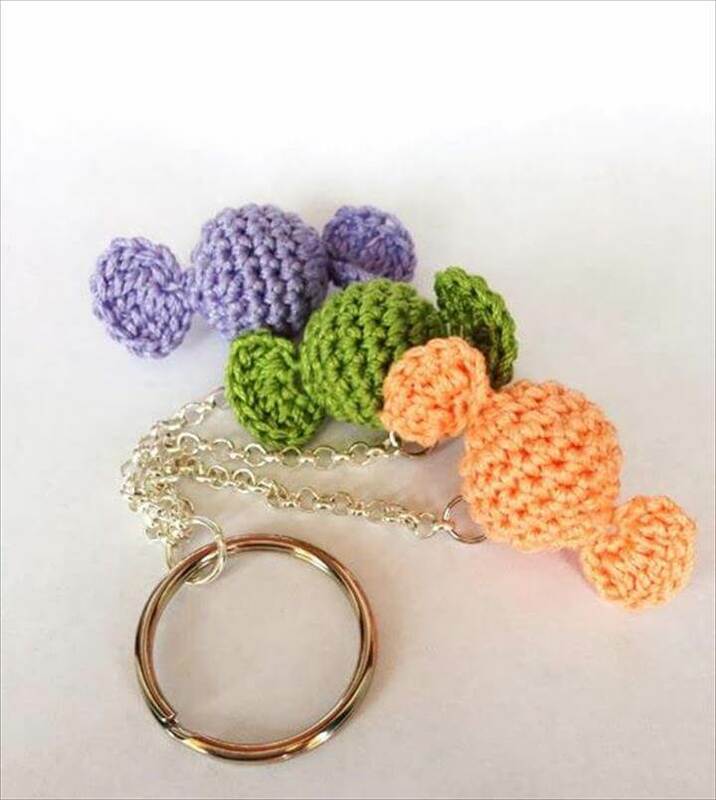 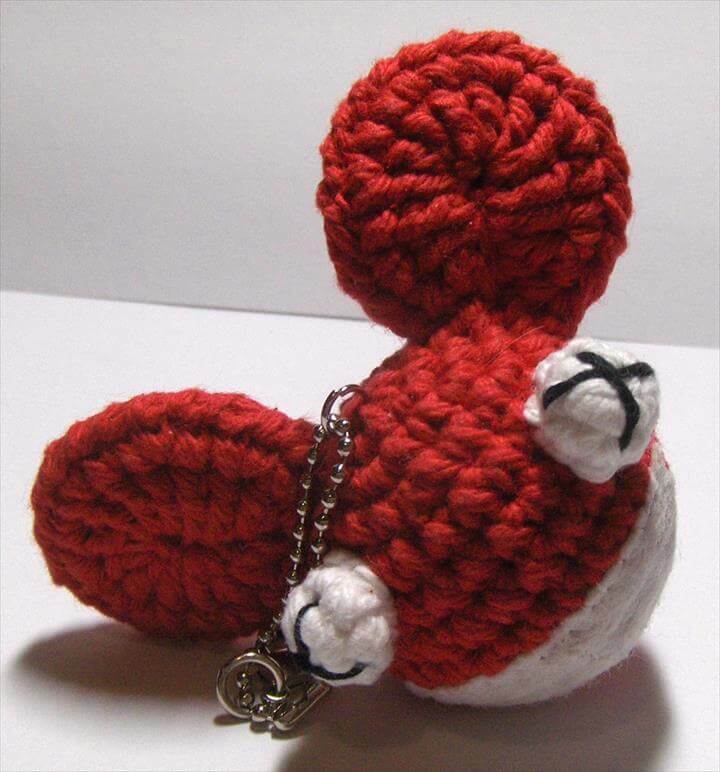 So hurry to get a few for yourselves and enjoy unique and adorable key chains to get drool over.